Our slow path to a 100% EV household. In part 3, the documentary Who Killed The Electric Car? spurred me to shop for an EV. While EV shopping, I contacted my local EV club. One of the members said that he had a vehicle that would meet my distance and speed needs. I was cautiously optimistic. I went to meet Don Blazer. Don was an EV advocate and had partnered with EV Bones to bring Chevy S10 EVs Oregon. 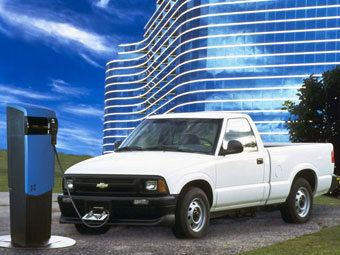 The Chevy S10 Electric was not an aftermarket EV conversion. It was built as a 100% battery electric by General Motors. It was the cousin to the GM EV1. General Motors had only leased the EV1, but the S10 EV was intended for fleet owners. Some fleet owners refused to lease vehicles. They would only buy them. 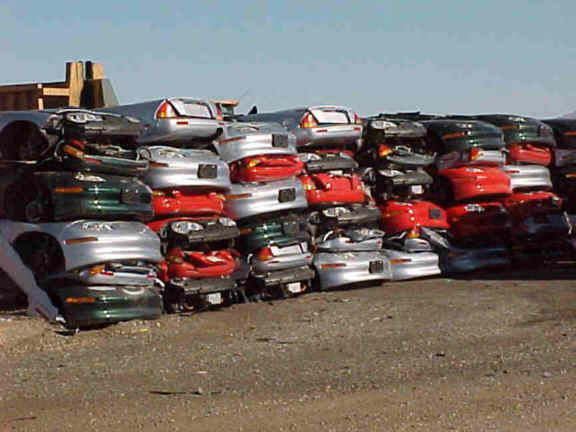 This meant that some of these trucks had escaped the crushing that claimed nearly all of the GM EV1s. Don was selling an S10EV that had spent its working life at Disneyland. When its days as a fleet vehicle had ended, it went to auction. EV Bones had bought it. They updated the batteries with Nickel-Metal Hydride (NiMH) that had been salvaged from EV1s. The truck had a top speed of 70 MPH and a range of 40 miles. This worked great for my 20-mile round trip commute. In February of 2007, I bought it and I was, officially, an EV driver. I loved it. The smooth, quiet acceleration, the simplicity of charging up in my own garage every night. Starting out each morning with a full charge for my day's drive. For nearly any car model out there, you can find a group of enthusiast owners. Owning an EV was like that for me. I had never been a 'car guy' but suddenly I wanted to tell everyone how awesome it was to drive an EV. I joined my local EV club and I started taking my electric truck to events all around the Portland area. I went to sustainability fairs, Earth Day events, 4th of July parades... and I started blogging.